Today, March 29th, Born at Midnight by C.C. Hunter is available for purchase. This is a 2011 debut novel. Adorable blog! 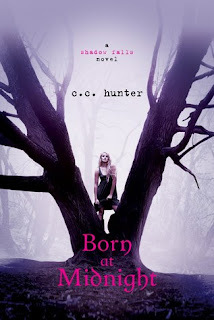 Excited about the Born at Midnight release! Thanks again for featuring my debut YA paranormal Born at Midnight on your blog. I'm so excited that my baby is finally out there! Hope you enjoy Born at Midnight!